The ancient Greek expression “Know thyself” carries a lot of weight when it comes to investing. Indeed, an investor’s personality can speak volumes to their ability to spot opportunities and avoid risk. If more people truly “knew themselves” when it came to money over the last decade, it’s arguable we would not have seen many of the individual excesses and mistakes that marked the recent economic slowdown. Venturers take a “nothing ventured, nothing gained” attitude with their money, but their potential pitfall is that they’re overconfident in their level of preparedness. Anchored individuals always “stay on the safe side,” but extreme risk aversion might leave them unprepared. Pursuers will “try anything once” but their continual efforts to grab at new directions might leave them without a clear plan. Adapters take investment situations “as they come” but may not be realizing their full potential as investors. Now even if you have a handle on your money personality, what do you do with that information? It might make sense to seek advice from a trained financial professional, such as a CERTIFIED FINANCIAL PLANNER™ professional, to review the plans you’ve made and take you in a direction that not only suits your comfort level, but your future financial success. If you’ve never worked with a financial planner before, one of the first steps in the process will be reviewing or filling out a risk analysis questionnaire. Why is risk analysis important before you make decisions with your money? Risk tolerance is an important part of investing – everyone knows that. But the real value of answering a lot of questions about your risk tolerance is to tell you what you don’t know – how the sources of your money, the way you made it, how outside forces have shaped your view of it and how you’re handling it now will inform every decision you make about it in the future. If money was absolutely not an issue, what would you do with your life? Has the way I’ve made my money – through work, marriage or inheritance – affected the way I think about it in a particular way? How much debt do I have and how do I feel about it? Am I more concerned about maintaining the value of my initial investment or making a profit from it? Am I willing to give up that stability for the chance at long-term growth? What am I most likely to enjoy spending money on? How would I feel if the value of my investment dropped for several months? 10. How would I feel if the value of my investment dropped for several years? 11. If I had to list three things I really wanted to do with my money, what would they be? 12. What does retirement mean to me? Does it mean quitting work entirely and doing whatever I want to do or working in a new career full- or part-time? 13. Do I want kids? Do I understand the financial commitment? 14. If I have kids, do I expect them to pay their own way through college or will I pay all or part of it? What kind of shape am I in to afford their college education? 15. How’s my health and my health insurance coverage? 16. What kind of physical and financial shape are my parents in? One of the toughest aspects of getting a financial plan going is recognizing how your personal style, mindset, and life situation might affect your investment decisions. A financial professional will understand this challenge and can help you think through your choices. Your resulting portfolio should feel like a perfect fit for you. However, a planner can help you do much more than control risk on the investment side. You can also work to develop an emergency fund that will support you in case you lose a job or go through a protracted leave of absence due to health or caregiving issues. A planner can also make sure you have a disaster plan in place in case you’re disabled or your home is hit by a natural disaster. Financial risk can take many forms, and a planner can help you work through those issues key to your lifestyle. 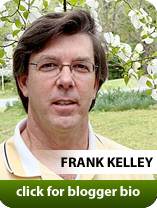 June 2010 — This column is produced by the Financial Planning Association, the membership organization for the financial planning community, and is provided by Frank Kelly, CFP® , a local member of FPA.